Near the Marais district, close to the Louvre Museum’s riches and the Centre Pompidou, the Hotel France Louvre is very well served by public transport. 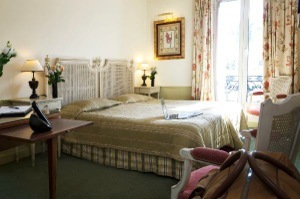 The simple and functional one-person bedrooms offer all the comfort worthy of a 3 star hotel. The bedrooms are equipped with a high definition TV, air conditioning, a minibar and a bathtub.